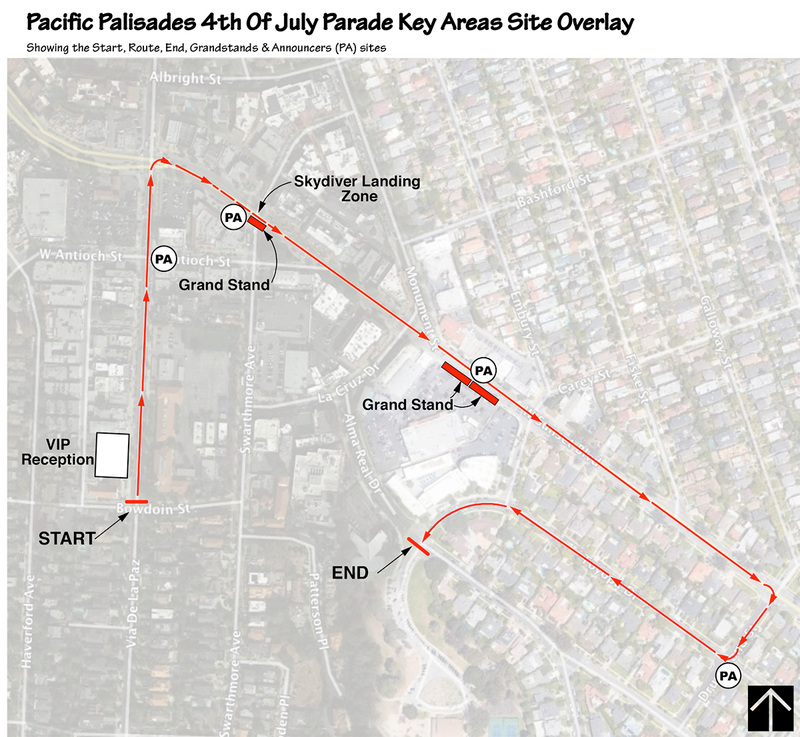 The parade route is shown here It starts on Via de la Paz, goes up to Sunset Boulevard, follows Sunset until Drummond Avenue, then takes Drummond to Toyopa Drive, and moves along Toyopa until it ends at Alma Real Drive. The reserved seating grandstands are located along the curb at 15120 - 15140 Sunset Blvd., Pacific Palisades, CA 90272. The evening concert and fireworks take place at Palisades Charter High School, 15777 Bowdoin Street, Pacific Palisades. Tickets are required for grandstand seating and Pali High entry.